The Strand at Sozo Coffeehouse Saturday! Come hear the Strand perform at Sozo Coffeehouse this coming Saturday, 7/21, from 7 – 8:30 pm. We’ll be playing lots of traditional Irish, Celtic, and some American music. 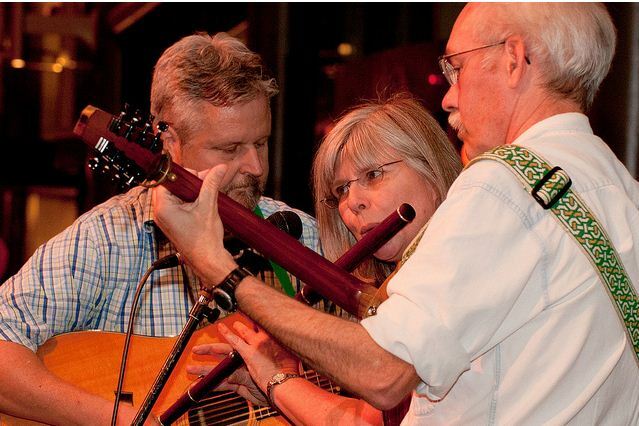 Rick Boyle on guitar, bouzouki, and vocals, Steve Pawlowski on guitar, bodhran, and vocals, moi on flute, whistles, harp, and vocals. Sozo is “coffee with a cause,” and donates a portion of all sales to local, national, and international charities. So not only will you hear some good music, you’ll do some good for the world, too.